Gulfstream Aerospace Corp. today announced that Gulfstream G280 owners and operators will soon have access to the fastest, most reliable worldwide communications network available for midcabin business jets. Beginning in the first quarter of 2019, Viasat's high-speed, high-capacity service on the Ka-band frequency is expected to be available to all G280 operators as a completions and retrofit option. 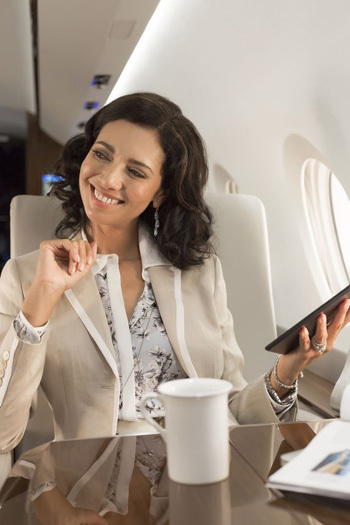 "Our G280 customers will be able to quickly access connectivity, content and services on their personal devices virtually anywhere they fly," said Dan Nale, senior vice president, Programs, Engineering and Test, Gulfstream. "Viasat's Ka-band solution will deliver the Wi-Fi speed, coverage and reliability they've come to expect from Gulfstream." Viasat's Ka-band solution will be among the offerings included in Gulfstream's Connectivity Service program, which Gulfstream established as a customer's single source for equipment, service networks and technical support. 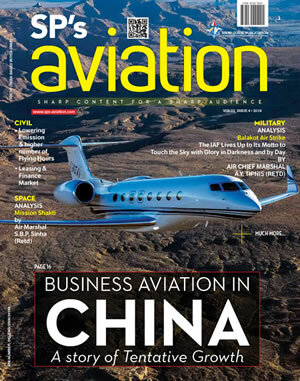 Initial connectivity speeds on G280 aircraft are expected to be up to 16 Mbps, with the potential to increase as Viasat expands its network capacity with additional satellite services. Viasat's Ka-band service can support multiple passengers and their devices through all phases of flight.